Claire is the inspiration behind the brand. Working as a tea taster for a large tea company for more years than she cares to recall, she has drunk a great deal of tea! Answering an advert some 25 years ago that read ‘do you like tea and do you wish to travel’ she became a trainee tea taster for Lyons Tetley slurping and spitting close on 1000 cups of tea a day! 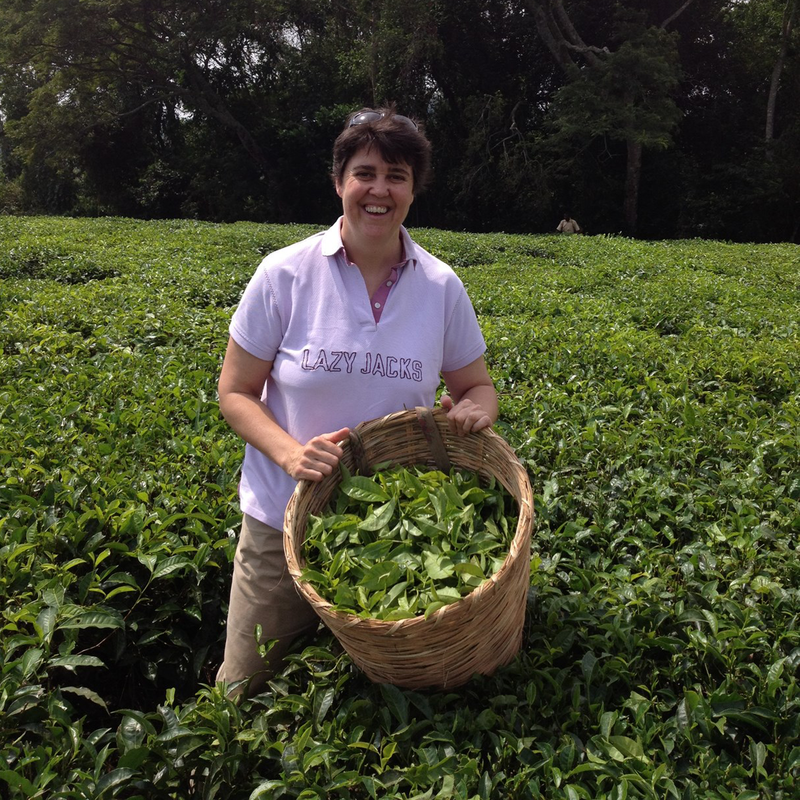 The opportunity to travel to tea estates across Africa and Asia and work alongside the community behind the commodity sparked a lasting love of the humble brew that she now wants to share with everyone. With no two days the same, the challenges of growing a small business means that she often leaps to the kettle for inspiration! The brew changes throughout the day but more often than not it’s the refreshing and soothing calmness of the Ceylon that gets her back on track. 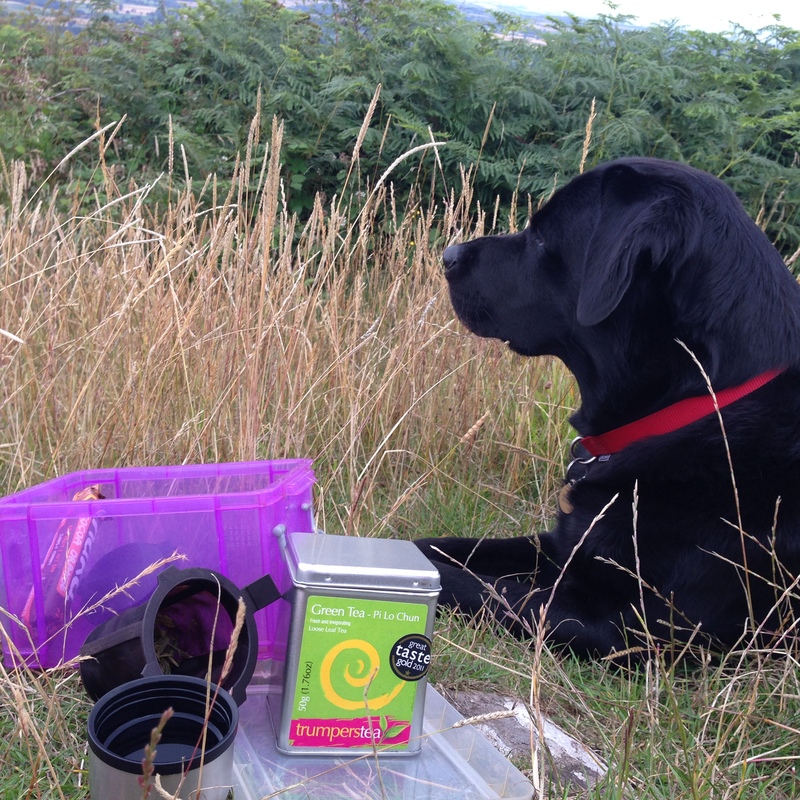 Phoebe enjoys the good things in life and never turns down the opportunity to sample a cup of tea and a biscuit – preferably a dunked rich tea! Great at customer communication she rejoices in road trips to make deliveries and meet new people especially if her visit coincides with breakfast and a visit to the kitchen door with a waggy tail may secure a sausage! Enjoys variety but not too keen on the ‘smelly’ teas – she’s more of a plain and simple Rooibos girl.